Jason Day for the win! After a victory at the BMW Championship, Jason Day is on a roll. 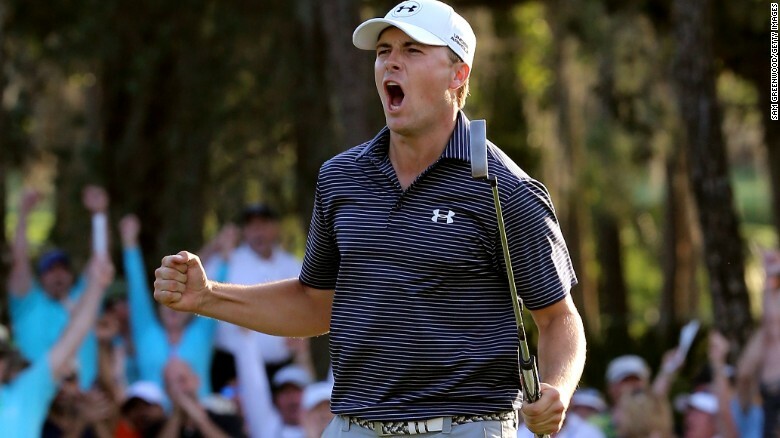 On the other side of that momentum is the transcendent golfer of the year, Jordan Spieth. His doubts, as any golfer would confirm, are normal. I’d bet a set of TaylorMade RocketBladez that Day has lacked confidence before: ditto with Tiger, Rory and even Arnold Palmer. All of the greats have gone through some spurts of struggles during their professional careers, but the great ones are always just a few good holes away from their normal selves. Take Rory. Only a few months removed from a ruptured left ankle, the former world number-1 is looking stronger with each appearance. He’s consistently shot under par since his return at the PGA Championship, including an impressive 14-under at the BMW. After his 3rd round last weekend, McIlroy discussed what it’s like to have the “it” factor on the course. Day is surging to the finish of the FedEx Cup and for the moment, Spieth is working his way out of the rough. After an injury-induced lull, McIlroy explains how he is pointing his own game in the right direction.